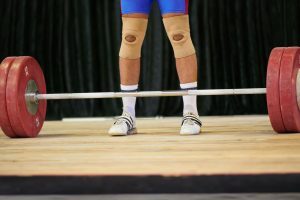 USADA announced today that Robert (Kyle) Dosterschill, of Chillicothe, Mo., an athlete in the sport of weightlifting, has accepted a four-year sanction after testing positive for multiple prohibited substances. Dosterschill, 26, tested positive for amphetamine, as well as metabolites of drostanolone, mesterolone, and dehydrochloromethyltestosterone (DHCMT), as the result of a urine sample he provided on March 5, 2016, at the 2016 Arnold Weightlifting Championships in Columbus, Ohio. Amphetamine is a non-Specified Substance in the class of Stimulants and prohibited in-competition, while drostanolone, mesterolone, and DHCMT are non-Specified Substances in the class of Anabolic Agents and prohibited at all times under the USADA Protocol for Olympic and Paralympic Movement Testing, the United States Olympic Committee National Anti-Doping Policies, and the International Weightlifting Federation (IWF) Anti-Doping Policy, all of which have adopted the World Anti-Doping Code and the World Anti-Doping Agency Prohibited List. Following notification of his positive test, Dosterschill challenged USADA’s jurisdiction to bring a case against him under the USADA Protocol and IWF Anti-Doping Policy. 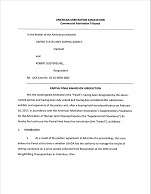 After a jurisdictional hearing before an independent panel of arbitrators from the American Arbitration Association, the arbitrators upheld USADA’s jurisdiction over Dosterschill for the purpose of adjudicating his positive drug test result from the 2016 Arnold Weightlifting Championships. The jurisdictional decision, as well as other arbitral decisions, can be found here. Dosterschill’s four-year period of ineligibility began on April 27, 2016, the date his provisional suspension was imposed. As a result of the doping violation, Dosterschill’s competitive results obtained on and subsequent to March 5, 2016, the date he participated in the 2016 Arnold Weightlifting Championships, have been disqualified, and any medals, points, and prizes are forfeited.